It was late afternoon, but we were eager to explore. On a short hike near the campground we found our first informal souvenir stand. 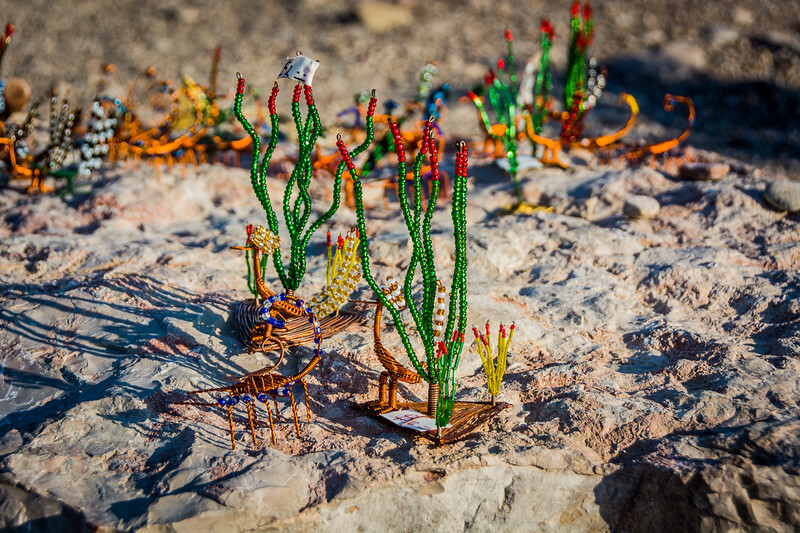 Native Mexicans craft items from copper wire and beads. They also decorate hiking poles and occasionally other items. Then they come across the Rio Grande River and leave them on rocks for "tourists" to buy. Amazingly it is on the honor system so you could easily take something and not pay. However, these items are considered contraband and subject to confiscation by park rangers, so buyer beware.